Chamomile is one of the oldest garden herbs - you’ll love its delicate, sweet flavour. As a tisane (herbal tea) it's naturally caffeine free so it’s perfect as the anytime cuppa morning, day and night. Try it as a soothing nightcap just before bed. Its reputation as a medicinal plant shows little signs of abatement and Chamomile Tea is still popular today to relieve stress, promote calmness and ease anxiety. Nature’s Cuppa strict cultivation methods enhance the natural flavour and aroma, making this one of the world’s finest and purest chamomile herbal infusions. Only the Chamomile blossoms are used for herbal infusions. 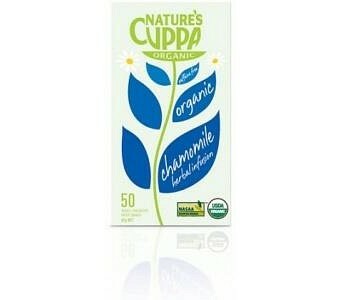 Drink Chamomile as a hot beverage or prepare in a jug.